BG AD Group has recently begun working with the College Football Hall of Fame and is in charge of their Event Marketing. We are busy with events every week and this past weekend was no different! Thursday, September 3rd, we were at the first Georgia Tech game of the season against Alcorn State. We were in Atlanta passing out flyers and koozies for the Hall of Fame. Friday, September 4th, we were at a couple of High School football games, including McEachern and North Paulding. We had booths stationed at both football games and passed out flyers and koozies while informing game watchers of the Hall of Fame. Saturday, September 5th, we had a large booth at the Georgia Dome for the Chick-fil-A Kickoff Event in the fan zone area hosted by Coca-Cola Zero. 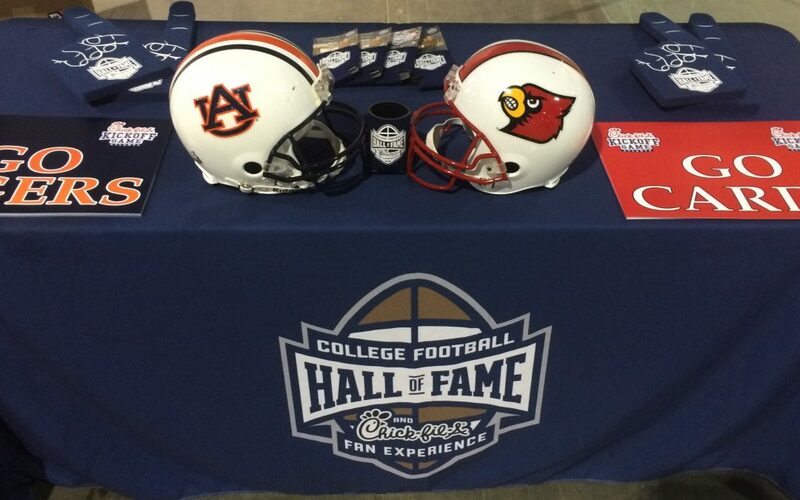 We had a great weekend filled with events where we spoke to thousands of people about the College Football Hall of Fame. BG AD Group is already looking forward to all of the fun events we have planned for this coming weekend!